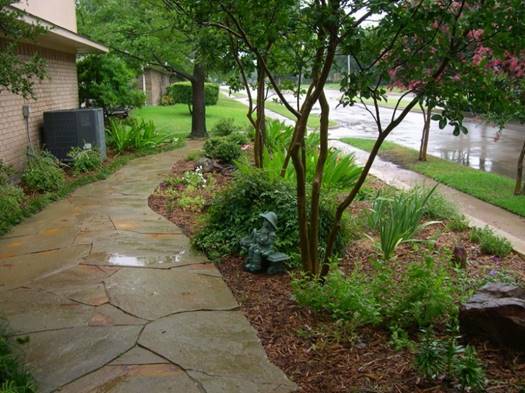 We provide complete landscape and hardscape design and installation, along with maintenance for your property. 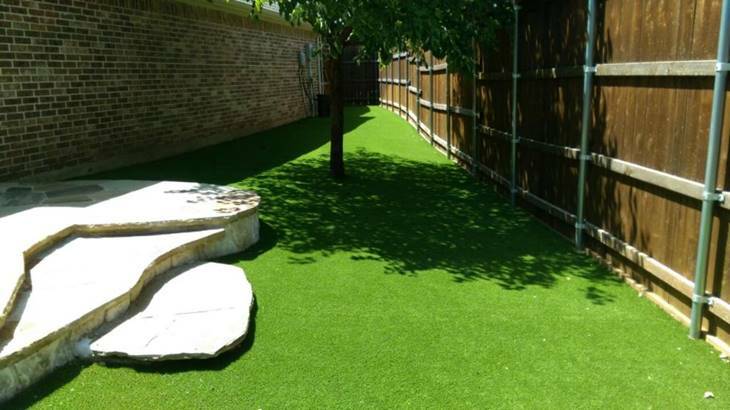 We want to provide you with a healthy, water efficient, organic landscape whether you want to create a beautiful new one or improve and maintain an existing one. Our office is in Garland Texas at 3637 Marquis Dr., and our services are available in a roughly 10 mile radius around our location. Please call or email us to see if we can service your area: 972-864-1934, grohde@greensense.net. · Mowing, edging, and cleanup on a regular schedule based on time of year and growing conditions. · Organic Fertilizing program using our excellent slow release GreenSense All Purpose Lawn and Garden fertilizer. · Other maintenance work such as listed below, can be scheduled by personal request. 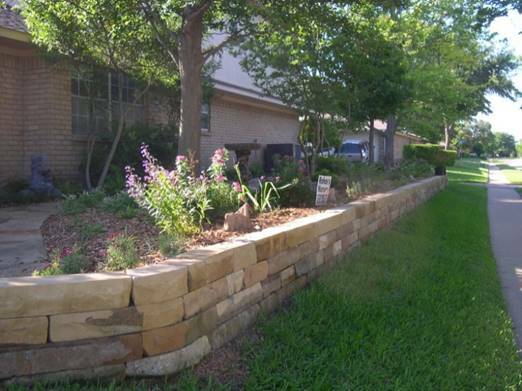 · Planting flowers, trees, shrubs, and installing sod. 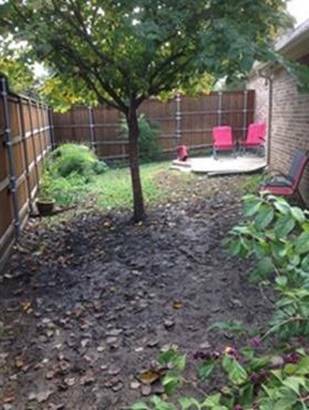 · Pruning trees, shrubs, and cleaning up perennials. 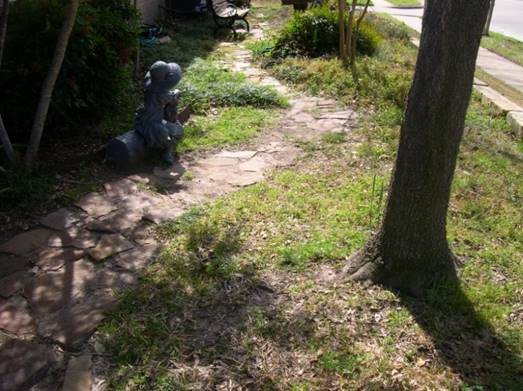 · Tree and Shrub removal and stump grinding. 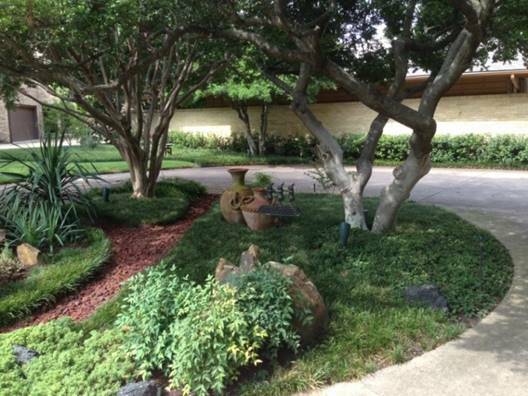 · Fertilizing programs for lawns and beds, including Deep Tree Root Injection for drought protection & recovery. · Exterior Pest control including dormant oil spraying and mosquito control. · Aeration and top dressing of lawns with compost. · Drainage correction and cleaning of clogged drain lines. · Winter preparations include cleaning rain gutters, and cleanup of lawns for the holidays. · Air Spading Services for Trees. This is to uncover the root flare of trees planted too deep in the ground. Trees and shrub planted too deep has been found to be a major detriment to the health and longevity of the plant. · Howard Garrett’s Sick Tree Treatments and pre-evaluation. Installation or repair of water features, walkways, fences, gates, retaining walls, patios, arbors, gazebos, covers, grill-pads, planting boxes, and most other hardscape items. Please let us know what you have in mind. We do custom work. 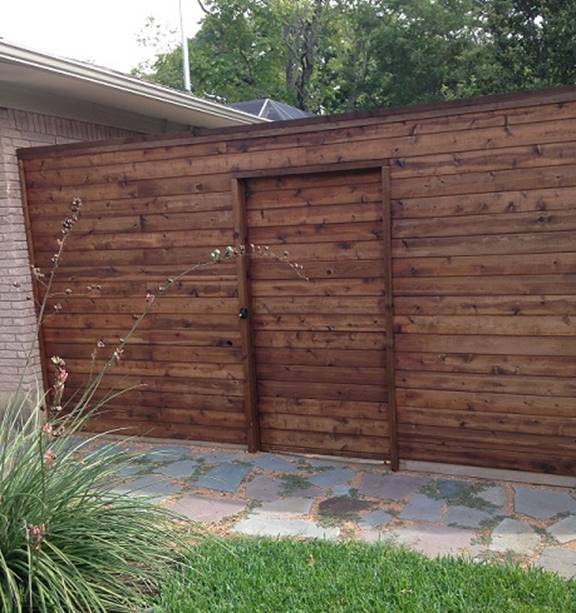 We have experience working with wood, brick, stone, tile, rock, gravel, concrete, and metal. 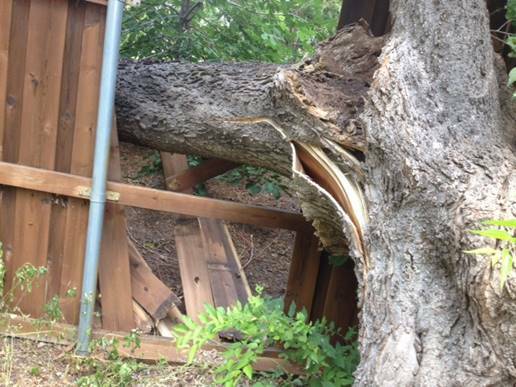 If you have suffered storm damage in your landscape, please call us for an estimate. It could save you money! If you have had your foundation leveled, we can patch the cracks on the sides of the concrete foundation, and repoint (repair) the cracked mortar joints between the bricks of brick walls. If there is something else you need that we have not listed, please call to see if we can help you, and to give you a quote. If you have a job that is beyond our capability, we can give you a trusted referral. If you would like additional information, please contact us at 972-864-1934 or 800-864-4445. Storm damage, before and after. 20 years of Rohde landscape maintenance and design. 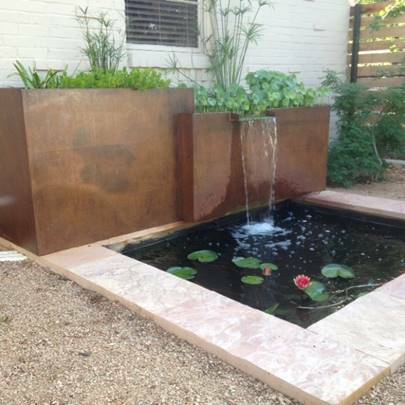 Two tier waterfall fountain and pond, built by Rohde’s craftsmans, from the gifted homeowner’s own design. still allows soil life to prosper (viewed from opposite directions). 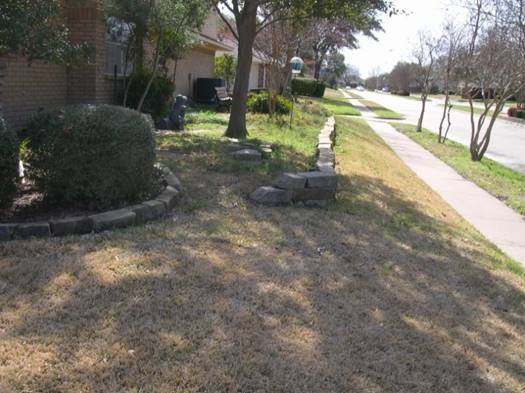 Before, a tired, worn out walkway and retaining wall. Landscape installed by Rohde’s to enhance contemporary concrete work. Walls installed by a concrete contractor. Rohde’s will collaborate with specialists, such as concrete contractors, to give you the look you envision. Fencing, second story deck, stair case, and stone path by Rohde’s. Arbor gate done with partnership with owner. 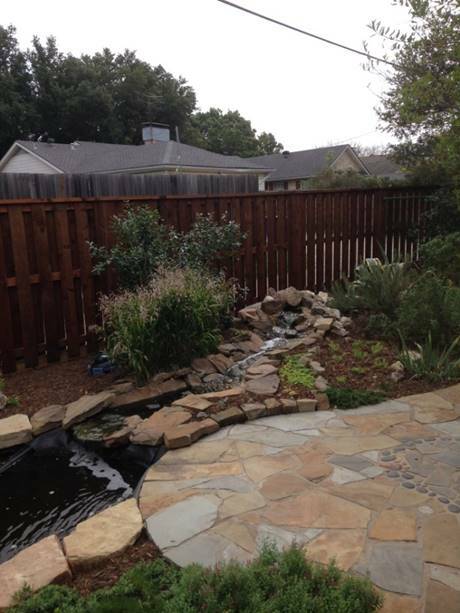 Landscape, Fence, Patio, Spring and Creek by Rohde’s. 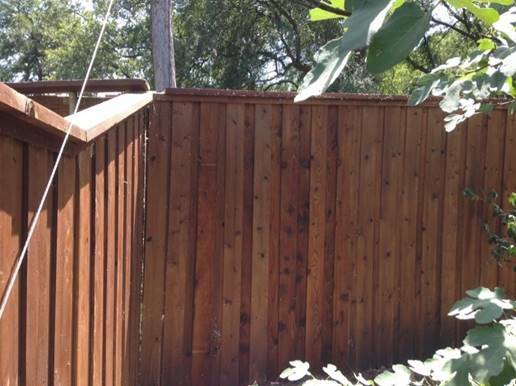 Tongue & Groove fence. Better workmanship than hardwood floors! 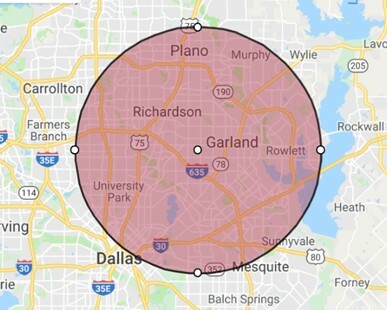 Approximant 10 Mile Services Radius around Rohde's location.